The Fantasy Poker Manager allows a user to create a team of up to 10 players, among the most famous names and top-ranked, using a virtual budget of $1,000,000. The price of each player is based on the player’s GPI ranking as well as the players popularity among other users of the Fantasy Poker Manager. Points are scored every time one of the players on the team finishes in the money in a live poker tournament. 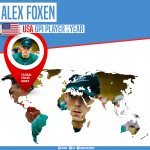 The Fantasy Poker Manager will feature events all over the world (including World Series of Poker and World Poker Tour) allowing teams to play nearly every week of the year. In addition to building teams that virtually compete around the globe, some of the exciting features of the game are the ability to challenge friends in one on one contests, set up private leagues with a group of friends, and research and follow poker players performance. The Fantasy Poker Manager is making its debut launch on Facebook and takes advantage of many of Facebook’s popular and familiar features, while also integrating unique content through the Global Poker Index. The game will be targeted to the 40 million people who regularly play fantasy sports games and the 50 million people who play online poker on Facebook and other sites. Additional features of the game, as well as a mobile version, will be made available over the coming months. 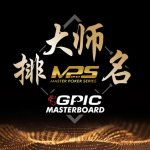 In the six months since its acquisition by Zokay Entertainment, the GPI has been solidified as the live tournament poker ranking authority worldwide. 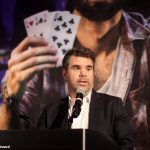 Zokay plans to continue developing the GPI as the premiere tool and ranking system for the poker industry, with the expectation of making a significant investment in promoting poker and the GPI across the globe in an effort to establish industry standards for the multi-billion dollar live poker industry. Expect many exciting announcements from Zokay Entertainment and the Global Poker Index in the months to come.